Revel in me...: It's empowerment o'clock. 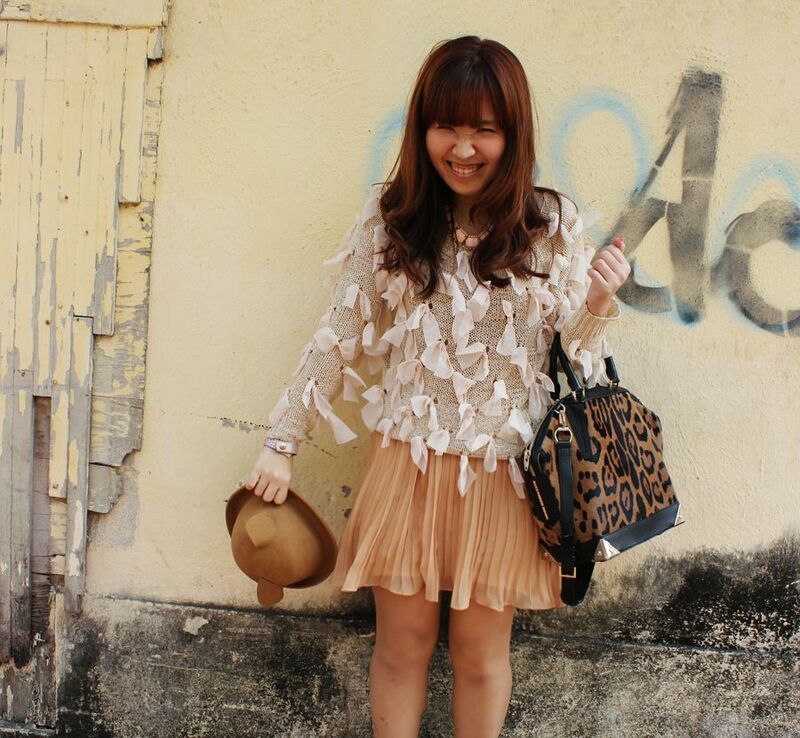 Wearing AZORIAS chiffon ribbon sweater and pleated skirt (sold out already). Read an excerpt a really long time ago, and it really struck a chord with me and opened my eyes. Suddenly feel like sharing it with you guys today, but I forgot where I read it. -_- Thank god I have instincts like a bloodhound wtf, and I managed to find it! It's byJulien Smith, a motivational spaker (who is quite cute too WTF). I don't know why, I just felt that these words are so powerful, and in certain ways, is like a slap in the face. It's true, we are NOT defined by our party habits or favorite foods. Think that you are too shy to do public speaking or to go up to that cute guy at the corner? Think that you HAVE to eat popcorn with movies? Think that you can't drive a manual car? Well, you think WRONG. Those are limited thinking-- you are limited by what you think! Sometimes we tell ourselves that we are a certain type of person, that we always act in a certain way... Maybe it's just a comfort zone after all. Maybe it's just easier to tell yourself that you do not wear skinnies, that you hate the color black, that you are too meek to be the life of a party. But by thinking that, you have already limited yourself. These words have really moved me, and opened up my mind to how I see myself. Anytime I tell myself I can't, or I don't want to, I take a step back and really ask myself-- BUT WHY? BUT REALLY? It's just really empowering to think that we don't HAVE to be what we are now. You can be anything you want to! Anyway, I hope you guys are as motivated by these words as I am! Let me challenge you-- in the next month, think of something that is 'limiting'-- whether it's something you always thought you can't do, or something that is out of habit for you, and DO IT. Whether it's hitting the gym ('cause you always have "no time"), reading a non-fictional book ("I only read chick-lit"), cutting back one coffee a day ("but I NEED caffeine to function! "), or making the first move to talk to the new girl at the office ("I am too shy lar"), just do ONE thing. Share with me in the comment box what is the thing you want to change, and we will regroup next month to discuss this how we did okay? Haha. As for me, the limiting habit that I will try to get rid of this week is-- to eat celery. I hate this vegetable (possibly my most hated food along with parsley), but if 30 days is all it takes to get rid of a habit, then, well, I am going to give it a shot. 21 days is ALL u need to make it a habit. There's celery in the fridge, and it's time to go to the gym. :) See you next week?